Maybe it’s a natural result of being a part of a conservative, even ‘fundamentalist’ group. Maybe it’s a result of the ‘culture wars’ – even ‘across the pond’ here in the UK, the language and attitudes are contagious. Whatever the reason, when I hear that something is ‘counter-cultural’, there’s a part of me that wants in, even if it’s something that the church I grew up in (or the one I’m a part of now) would never condone. It’s easy to paint Jesus as simply a counter-cultural revolutionary, condemning everything in the Jewish and Greco-Roman world around him. It’s probably equally easy to depict him as condoning almost everything in his context, as making minor evolutionary adjustments to his context, but that would be quite a different church culture to the ones I’m familiar with. We can get addicted to the myth that either Jesus (and all Christians) are opposed to everything in culture, or pleased with it all. For me, the danger lies in ‘counter-culturalism’ – the mistaken belief that if it’s counter to contemporary culture, it must in fact be good, beautiful or just. The danger with ‘counter-culturalism’ is two-fold, I believe. * Firstly, we can disassociate ourselves so completely from the world that we have no real witness to it. But more importantly, we can run the risk of accepting ideas, theologies, practices that are neither good, beautiful or just, simply because they are counter-cultural. Anyone with the merest moment of clarity can realise that obviously not every single possible thing that contemporary British culture (or any other local culture at any other time period in history) is evil to be rejected. The reality is, no matter what our feelings on the world around us are, we do share some values as well as air with our fellow citizens. As much as we might try to demonise ‘The World’ (with capitals, note! ), we’re not so unlike them, especially when it comes to the ‘9 to 5’. I’ve made it quite clear, being counter-cultural is no reason to accept a doctrine, it’s not even a partial support among many others. It’s an appeal to a culture that opposes another culture – it’s pietism, separatism, pharisee-ism. It’s a secret code for ‘if you agree with me, you’re in, you’re one of us’, a reminder that so often our identities are shaped by who we are not more than who we are or want to be. By agreeing with one side or the other in the conversation, I feel superior to the ones who I have labelled as ‘slaves to culture’, rejecting them as ‘living in the world’. So let’s forget ‘being counter-cultural’ as a way to decide whether to support an idea or not (remembering that both sides think that they can claim the title ‘counter-cultural’ in this conversation) and think about what are valid reasons for being either complementarian or egalitarian. It all comes down to the Gospel. No, it’s not a ‘Gospel issue’, in that I have no problem in sharing fellowship with those who think very differently on the subject, but it does all come down to how you understand the Gospel – the Gospel must be the key thing that shapes our understanding of our Christian lives. The Gospel is the good news of Jesus, put quite simply. It’s the good news that all that Israel was meant to be but could never become and more has come to be in Jesus and through Jesus. It is, above all, the story of how that has become and is becoming true, a story that in some senses is incomplete, while in others we know the ending. It’s a story that shapes our lives with with direction and intent rather than legalism. In fact, when it comes to Law, Jesus is very clear: it’s better to appear to break the rules in order to advance justice and inclusiveness. It seems that all the laws that are to encourage separateness are nullified, every barrier broken down, every division removed. Holiness in the Old Testament is often about bowls and other objects that are specially for the service of God in the Tabernacle and Temple. Often, that kind of holiness is defined as being separated from profane or evil uses. Yet in the New Testament, I think holiness is more about being used by God in his great task of bringing new life and wholeness than about separation from evil. Separations and divisions make religion easy to manage and monitor, but this new kind of holiness is much messier. It is the untamed action of the Spirit, ignoring our proprieties, making a mockery of carefully cultivated hierarchies. The Spirit of Pentecost urges us to go where the life of resurrection is – just as Paul does. Notice that the paragraph doesn’t end with the famous first sentence, verse 8. The good, beautiful and just things, the things learned, received, heard from or seen in Paul are to be put into practice. This isn’t an instruction to pointless musing on nice stuff, but a way of testing what will be put into practice. For me, the reasons for being an egalitarian are not simply about culture and counter-culture, or based on one or two ‘proof texts’ but based on the broader narrative of the good news of Jesus. His life, both his ministry before the cross and his resurrection life that animates the church, is about justice, inclusiveness and wholeness. It’s about (mutual) submission, not (violent) power. Life is more important that leadership in the kingdom. Things that are good, beautiful and just far outweigh the rules of this culture and its counter-cultures or any others. Egalitarianism is a justice issue. Go where the life is, join in. And the God of peace will be with you. * There are the inverse dangers to cultural accommodation, I grant you: identifying so closely with the world that you have no prophetic voice left to speak with, and accepting things in the culture that are neither good, beautiful or just simply because we’re used to them. Beware of both positions, seek first the kingdom! This post is part of a ‘synchroblog’, my way of adding my voice to the chorus of both men and women who advocate real equality in the church and all aspects of Christian life, linking in with Rachel Held Evans and many others. Follow the masses of posts on twitter: #mutuality2012, add your voice there and in the comments. Feedly does work on ICS, with only one little trick. When you open the Feedly app, turn the phone from portrait to landscape and back again. Simples, as a small furry advertising agent might say. I use Feedly both on the web (for desktop) and my phone to keep up with all my Google Reader feeds. I prefer the interface to the one Google provides, especially the ability to open an article in the same app, not fire up a separate browser. I also like their recommended articles to browse through if I’m lacking a bit of inspiration! I’d been using it for months when I updated my Samsung Galaxy S2 to Ice Cream Sandwich, the latest version of Android (at the moment). I had no idea that ICS would break Feedly – the app appears to freeze when it first opens. I’m not the only one that this affects, lots of others have complained, and despite several updates to the app, Feedly have not bothered to fix it. For a while I tried other apps, but I just plain prefer Feedly, so I looked around for work-arounds. I didn’t find anything from Feedly themselves, but on the reviews part of the Google Play store, I discovered a couple. The first was changing theme when the app starts – too much faff, not a long term solution. Reading on, I came to the one above – sorry, I’ve lost the link and name of the person who recommended it. Annoying, but workable, I can keep using Feedly! Anyway, if anyone at Feedly finds this and reads through to the bottom, please fix this annoying bug! Hopefully this will help someone else who is annoyed by your great app not working properly, but seriously, ICS has been out for almost a year now! If you’ve been living under a rock or you have no interest in tech, you may not have heard of the Raspberry Pi, a tiny (pack of playing cards sized) single board computer. It runs Linux, of course – though it can’t run my preferred Ubuntu. It’s not based around an Intel chip like a desktop or laptop (or even one from AMD), but rather an ARM chip more like what’s in a smartphone. This means is uses very little power and generates very little heat, but it does mean it needs different versions of software to what I’m used to. CrashPlan is my backup software of choice. For me, it’s greatest strength is that it’s cross-platform (i.e. it works just as well on Windows, Mac and Linux) and gives me the choice of backing up between my own computers as well as to CrashPlan’s own servers. I want to have a backup server running all the time so that I’m always able to back up to my own device as well as to ‘the cloud’ – the Raspberry Pi is ideal for this. With a little bit of hacking, I was able to get everything running fairly easily. Performance looks quite good for now – I haven’t got a lot of new files to back up as I was able to ‘adopt’ a previous backup archive, but I did run a few minutes of files at around 13MB/s over the 100Mb/s network, which seems pretty reasonable to me (about half what I get hooking the drive up directly to my desktop by USB). The server-side maintenance like ‘compacting’ the stored data might be a lot slower – however, this isn’t something I often do, so it should do. I got most of my information from a post by Hadar Pedhazur on opticality.com about a year ago on getting CrashPlan to work on a Pogoplug, another ARM-based device. That guide uses Arch Linux, which you can use on the Raspberry Pi, but I’ve chosen to use Debian, because it’s more similar to Ubuntu and I value that shred of sanity! Warning! This post is full of command line instructions! This scares some people! Proceed with caution, don’t blame me for anything that you break by copying (or mis-copying) my instructions! Connect the Raspberry Pi to screen, keyboard and network, then connect power to boot up. [edit: on your first boot, it will run ‘raspi-config’, a program to help you set up various things. Make sure you know what you’re doing and work through them all. CrashPlan requires Java to work. I had a look at installing Oracle (Sun) Java, but so far OpenJDK seems to work OK. libjan-java stops CrashPlan from taking a very long time to load backup archives according to a CrashPlan support post linked from Opticality.com. Type ./install.sh to run the installer. You’ll need to accept the defaults to be able to follow the rest of this guide – they’re all pretty sensible. When it’s done it will say that it started the CrashPlan background service, the one that does the actual backing up. It hasn’t, because we haven’t yet put the file we downloaded earlier in the right place. Type cd /usr/local/crashplan to move to the right directory. Press ctrl+x to exit, press y to save, press return. From there on, you’re really on your own, setting up backup on your other computers to the Raspberry Pi. Good luck! Coming soon: setting up a SMB server to share files with Windows computers (and my Android phone). If you’ve got any suggestions or problems with the instructions, please leave a comment below – I’d love to hear from you, even if it’s just to say that it worked for you. I’ve been blogging about Valve, their leaderless structure and how that might work out in church over the last week or two, first with an overview, then looking at what I perceive to be strengths of this kind of holy anarchy. As with any idea, there are minuses as well as pluses to what I’ve suggested. If this post is a bit disjointed, it’s because they don’t flow into each other that naturally, but go with it, we’ll get to some kind of a conclusion eventually! One big difference between Valve and any church I would be prepared to be a part of is the ‘hiring’ process (as was pointed out in the comments last week). 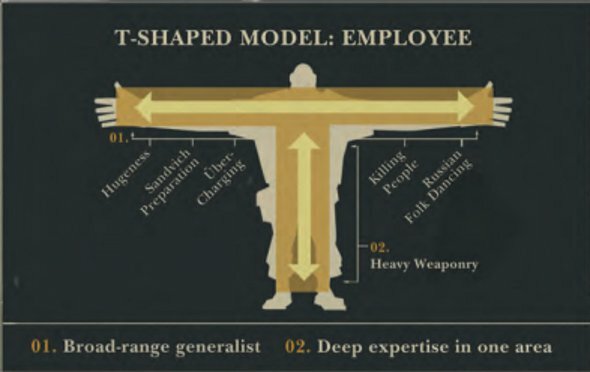 Only exceptionally good people are able to get hired at Valve – ‘T-shaped people’, (‘broad ranged generalists with deep expertise in one area’). Each employee is a stakeholder, responsible for the direction the company will take, so it’s essential that every single new Valve employee raises the average of the company. A church must be the exact opposite, though, no policy of only hiring people smarter than yourself. But it does raise questions about what it means to be a part of the church. Perhaps it’s too easy to walk in and be a part of our churches – the early church made it easy to hear and believe the good news but a long process to be baptised and join the church. But doing that seems to over-value commitment and certainty in a way that seems at odds with the way I value space for doubt and questions. Occupy’s answer to this, in London and other cities, is to welcome anyone to their camps. This is one of the things that has been turned on them as a criticism – that most of the people there are homeless drug addicts. It’s caused problems in the camps as they do not always share the same priorities as other occupiers. In a hierarchy, ‘the least of these’ can be dismissed in order to follow the vision of the leaders, but in a flat church everyone is a leader as well as a stakeholder. Conflict resolution would have to be deliberately planned; with no authority to appeal to, each group or committee (or ‘cabal’ in Valve-speak) would have to decide how they would go about making decisions between different ideas. Is consensus realistic? Is it even desirable – is it a certain route to mediocrity and mundaneness? Is a majority decision enough, or do we look for 60/40, 70/30? It’s in the most mundane of issues that problems occur, whether in churches, companies or families – with money being the foremost. I have no idea how Valve control purchasing and equipment, though the handbook talks extensively about hiring. I do know that Occupy set up committees to handle the money and make them responsible to the General Assembly and that being on that committee is strictly voluntary and based on willingness and ability. Would that work in a church context? Total transparency on finance, anyone can attend scheduled finance meetings. A commitment to consensus decisions would reduce the likelihood of loose cannons derailing things. But can it work in a context where only a small number of people get paid for what they do as part of the church? One thing is for sure, finance would still happen in a totally flat, non-hierarchical church, but whether the other things we are used to in a church would is debatable. There are always people interested in money, but any activity without people willing to get involved would not happen. Valve works hard to make sure its employees don’t work to hard or take too much on – would a church be able to do that? Would a flat church be able to make sure that no one was over committing – enforce sabbath? Cutting programs at churches can easily lead to guilt, though in a new church this may be less of an issue. It’s fascinating to imagine what might survive and what might be cut, some kind of holy battle royale! There are certainly many problems with the concept of a radically flat church, both conceptually and practically. We run the risk of over-valuing the individual at the expense of the community. We have to recognise that this is the bias of contemporary society, the exact opposite to the bias found in scripture. Jesus himself taught that the only way to be a Jesus-like leader was to be a servant – not just notionally with a humble job title on your gilt-edged business card, but in reality, by taking the job that really needed to be done that no one wanted to do. Would anarchy encourage that kind of service or would it lead to selfishness? 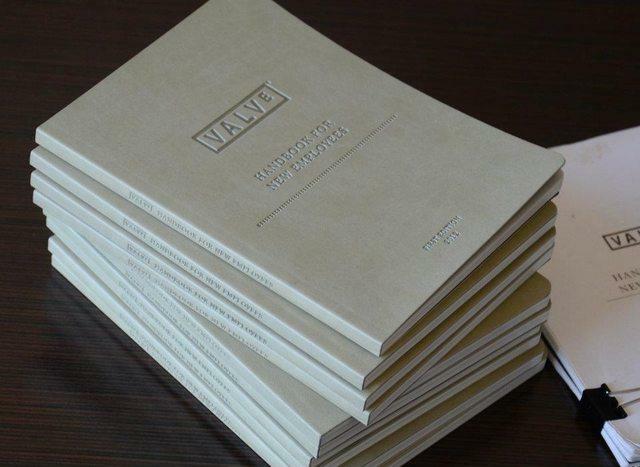 Last week I blogged about the Valve handbook and how it brought up the idea of a completely flat, anarchic, leaderless organisation. It’s not just a concept, this is a highly successful company. So the question for me is what can we learn from Valve in the church? Could there be a church with the same organisational non-structure? And what would the strengths and drawbacks of this kind of arrangement be? Before I go any further, I want to be clear that I understand the hierarchy in our churches does not function like the Army or a company. The congregation don’t have line-managers and no-one goes to services because they have been instructed to by their boss. Religious authority works in different, perhaps more insidious ways. The key for me is the way a structure without authority gives freedom to those who would otherwise not have a voice. This resonates strongly with an idea that as a Brethren boy I often heard about – ‘the priesthood of all believers’. This is the idea that none of us need someone other than Jesus between us and God. It’s radically egalitarian; no one is superior to anyone, irrespective of gender, age or ethnicity. Any ‘minister’ must be there to serve rather than lead. Leadership is less about power and more about allowing and empowering people to do the things they believe the Spirit is calling them to. Lay vs clergy becomes a non-discussion because there is no distinction. It means that the members of the church are not hostage to a vision imposed on them by a leader or leaders. They set the agenda by deciding what they want to be involved in. This should empower them in the way Valve employees are empowered – if they understand the way the church works, they will know that nothing will happen unless they want it to. No more passive congregants, each one takes part in the way(s) that they feel they should. Of course, here are many parts of church life that work on a voluntary basis – probably because they are staffed by volunteers! This means that they have chosen what teams to be a part of, but it is still different to being non-hierarchical. In a voluntary system, it seems that there is a small number of people who set the agenda and then find other people to help them do the work (or do it for them!) However, in a non-hierarchical church there would not need to be an agenda, just people joining in with the tasks they thing are important. At Valve it’s very different to church – every employee is paid to be there, paid for doing something productive and successful, no-one has the choice of free-wheeling. A flat church would have the challenge of inspiring people to be a part of what the church is doing without telling them what they must do. Making sure members know what they can join in with requires a lot of deliberate effort be put into internal advertising of active and potential groups – is that well spent effort? I suppose that depends on whether it encourages more action and self-ownership or leads to empire-building. We’re sailing perilously close to the drawbacks and potential problems of a really flat church now, which I want to leave to another post. I’d love to have your input, though. Are the strengths that I’ve written about realistic, would they happen in practice – and are they things we should really be desiring for the church? Are there other things that you can see coming from an entirely flat structure that would be benefits to the church? The employee handbook from games company Valve was released on the internet this week and I found it via a blog post from Seth Godin. He says it describes the ‘post-industrial method of management’ – a way of organising a company that is radically non-hierarchical. Almost every organisation in the world operates with managers and managers of managers, a hierarchy – just like the military, where (according to a Valve employee) it is ‘perfectly suited to getting 1,000 men to march over a hill to get shot at’. It also works well in the world of manufacturing inaugurated by the industrial revolution, keeping employees under control and enforcing uniformity. But in our post-industrial context, we value creativity, individuality and freedom much more highly, so Valve (and a very few other companies) are experimenting with ways to run a company that do not depend on structured leadership. If someone at Valve has an idea that they want to work on, they can – all they need to do is persuade other people to work with them. No one tells them what project to join or what tasks to do, they must choose what they can add most value to, what is most important. Anyone in the company can attach themselves to any team – they all have desks with wheels which they can move anywhere and plug in where they are now going to work. Anyone can be a part of meetings and have a say in decisions, which are reached by consensus, though not necessarily without a lot of heated discussion. In this sense, Valve is a functioning anarchy – in its technical meaning of ‘without a ruler’ or leader, rather than its more popular sense of disarray and lack of direction. Each employee is empowered to take the company in the direction they want to see it go, and the only leaders are colleagues that people organise themselves around. The idea of a functioning anarchy makes me think about the Occupy movement – again, officially leaderless, though there are people who lead and draw others around them. If people want to occupy a location they find others who will do it with them, take their tents and set up camp. If they want a demonstration, they use social media to find others who will come with them, if they want placards, posters or art installations, they collaborate or it will never happen. I’m interested in what I can learn from these models that will inform church leadership – specifically the context of independent free churches that is my world. I don’t suggest that the Catholic or Anglican churches are going to implement non-hierarchy any more than Valve want the US military or Microsoft to change. Being outside of denomination structure has drawbacks as well as strengths and perhaps a radically non-hierarchical structure would amplify both. That’s something for another blog post, though, or this one will drag on far too long. But I’m fascinated to hear from you – do you know some examples of flat church in practice, really non-hierarchical churches that deliberately reject any kind of leadership, even or especially elders and pastors. Can you point me in the right direction to find practical details of how those churches work? What do you think their strengths and drawbacks are/would be? It’s often put in some sort of opposition to whatever came before and to ‘rebuilding’, it’s seen as an intermediary process, a necessary but painful one that will lead those who endure it to a better place. where much of what we believe shifts. I have no problem with describing this kind of experience or wanting our lives to be built up after it seems they have been broken down. I think it’s essential that the doubts are taken seriously and that we have safe places to work through them and even past them. Deconstruction sounds ‘cool’ because it’s part of the whole postmodern thing. It must be a good thing because it’s so ‘up to date’ (ignoring the fact that it came out of thinking from the 70s and 80s…) It must be real because it’s contemporary and slightly dangerous. I think deconstruction is an essential tool for the church to take if we’re to take the issues of our contemporary world seriously, but on its own terms, not as a word applied to something we want it to. One source of confusions over what deconstruction is comes from the fact that with the hyper-individualism of postmodern thought comes the conclusion that nothing is completely fixed, own-able or definable. So in some senses, deconstruction means whatever we think it means. But if we’re to have serious conversation with postmodern thinkers outside of our Christian bubble, we need to agree on shared language. Deconstruction is a pulling apart, but it certainly isn’t destructive, and nor is it an intermediate state. It’s a thoughtful, analytic process of exploring an idea from every angle, looking at its limits – how far can we stretch this before it becomes something else – looking at its origins, looking at the directions it could possibly go in, exploring inversions and challenges to it. It’s critical rather than criticising in the sense that it’s trying to understand and evaluate rather than express purely negative emotions – forensic rather than destructive. Deconstruction brings us to a more profound and positive understanding of a term than we started with, not a tabula rasa to begin again. Deconstruction is the rebuilding process. When we see what deconstruction really is, we see it as an end in itself, not a disaster to be recovered from. It’s a way of life, not an interruption of all that is good. Deconstruction is something that we all (as individuals and communities) need to actively and deliberately participate in if we are to take a postmodern approach to faith. It takes nothing for granted and does not presuppose the outcome, so it’s dangerous. It’s highly subjective – personal and contextual rather than private – but this makes it unrepeatable and unpredictable as each different individual involved will alter the trajectory. Deconstruction is an ongoing process, not something that’s ever concluded and moved on from. We keep deconstructing and exploring, looking for new ways of understanding and living. Maybe we would start with church. We’d look at the blurry differentiation between building and congregation(s), the biblical origins of the word and the historical evolution. We’d look at what it meant to be excluded from church – heresies and splits – as well as what it meant to be inside – creeds and conferences of bishops. We’d look at contemporary churches – what you can not do and still be a church, what you can do in addition and still be a church. We’d look at other surrounding words – temple, chapel, mega-church, cathedral, shrine, congregation, community, coven, synagogue – and try to understand the differences, the lines of definition. We’d look at inversions – what it means to be an un-church, an anti-church. We’d look at differences in churches and try to understand what works in our situation and why – liturgies, leadership structures, worship bands, teaching styles. We’d look at contemporary and historical cultural differences, bringing in insights from Coptic, Orthodox, Catholic, Protestant, Pentecostal – from the global north and south, from developed, emerging and developing nations. We’d look at relationships with the state – both collusion and opposition. We’d find the unique expression of church that works and resonates with us right now – and keep looking and keep changing as we change and learn more. Maybe we’d look at Scripture in that way, maybe we’d look at individual facets of Christian faith – worship, prayer, evangelism. Maybe we’d discover that deconstruction is a way of life, an attitude towards the world. Maybe we’d discover elements of it in Jesus’ teaching – his refusal to take the status quo as a given or as a fixed point, challenging and inverting assumptions about God and about faith. Maybe we’d discover the prophetic voice of deconstruction, calling us to an examined life that is not accidental but deliberate in how it relates to both past, future and the present moment. I think we need to choose better language or different metaphors to describe the real and painful process that Kathy Escobar and so many others are talking about. I think it’s right and good that she and others are charting it, looking to recovery from pain and brokenness. But it does a disservice to deconstruction to call the dark period by that name, and makes any engagement with postmodern thought much more difficult when a fundamental word like deconstruction has been wrongly appropriated. Maybe we could use nuclear language instead. That dreadful time is like a reactor meltdown, uncontrollable and dangerous, a complete break from normal reality. But reality will and does return, through the slow and arduous process of de-contamination. Look to Fukushima for how this works, look at the forests that surround Chernobyl now. Life goes on, there is a way through the dark times. As I discussed in my last post, Marks Gospel ends in a strange way, with the women fleeing the empty tomb in bewilderment and fear. What happens next? It’s the ultimate cliff-hanger ending. Mark 16:8 is the last verse of the in the oldest manuscripts. Our Bibles have some follow up verses, but they’re very different in tone to the rest of the book. While there’s nothing ‘wrong’ about those verses, I have no problem in suggesting they are not original. So how did Mark intend it to end? It’s been suggested that there’s a ‘page’ missing – that a scroll was cut short, that the last few paragraphs were lost. Those of us who have a high view of scripture might have a problem with that – thinking that some Spirit-filled sentences were written but never available to us raises some questions about divine sovereignty. Imagining that there were lost words that we were never supposed to have is troublesome in terms of how human/divine authorship works. I think I prefer to think that this was exactly how Mark intended his Gospel to end and that the extra add-on is a bonus. So why does it end in such a strange way? Unlike Luke, Mark has no sequel to ‘sell’. If he intended it to end in this way, he meant us to finish reading with a bunch of questions. There’s no follow-on book to explain what the apostles did after, or even what the resurrected Jesus said, did or looked like. Yet there’s more that we can be sure of. Jesus really was alive. The women who fled in fear and the disciples who had deserted Jesus in Gethsemane when he was arrested, even Peter who denied Jesus during his trial came to understand what had happened. The story spread, the community of Jesus grew – all the way to you, reading the story where ever you are right now. By ending the Gospel in such an impossible way, Mark shows us that the story isn’t over, that there is more to come. That resurrection is an ongoing thing. It isn’t done on that Sunday morning by the garden tomb. The story of Jesus isn’t contained to the pages of scripture, it keeps leaping out and coming to life in those who tell it. N.T. Wright often talks about a ‘five act drama’ – a play that has four written acts but a fifth that must be finished by the actors who perform it. Like an unfinished symphony, those who intimately understand the earlier parts and have worked through studying and performing them must write and act out their own take on what comes next. I think this is how we must read Mark’s Gospel – it’s a story that is deliberately left incomplete so we have something to work out, something to play our part in. The full details of resurrection are not spelled out because we must see them in action in our own lives, in the life of our communities, in the life of the church that has lived two thousand years in the reality of that resurrection. The resurrection accounts in the gospels may not perfectly match each other in every detail, but a very human detail rings true from each: no one expected that it wasn’t all over. What we call Holy Saturday was the Sabbath of Passover, was the day that the women waited, unable to do anything, unable to finish the job that they started in such a hurry once Joseph of Arimathea had got the body and put it in his tomb. No time to properly wrap the body and put all the spices that custom expected with it, they had to wait until the Sunday morning, when Mark tells us they were worried that they would be unable to move the stone that covered the entrance to the place where they expected Jesus’ corpse to be. But the stone had been moved, and an angel was there to greet them. Understandably, they were ‘alarmed’ – scared rigid, more like! He told them not to be afraid, that Jesus had risen, that they should tell the disciples that he would be meeting them. But Mark, in what seems to be the rawest account, the one that is usually considered to be the oldest Gospel, ends in a strange way, at least in the oldest manuscripts. That resurrection goes against all that humanity expects and the pattern we are used to is unsurprising. That’s kind of the point, it is a breaking of the expected pattern that dead is dead. So it seems natural that those who see it would respond with astonishment, amazement, awe. But fear? It isn’t just Mark who records this confused response – in John’s gospel, Jesus is not recognised by those who were his closest friends and followers. They just can’t imagine that it can be him, alive, present with them. Whether it’s angels or Jesus himself, the good news of resurrection life has to be prefaced with ‘Don’t be afraid!’ It’s good news, but it’s not easy – it means everything you ever knew is wrong, and that’s terrifying! I think that there’s sometimes a tendency in parts of Christianity to minimise the visceral shock and human carnage of Good Friday and Holy Saturday. The cross can be seen as an almost theoretical step in the legal argument for justification rather than an event that was more than real. Holy Saturday can be overlooked and Resurrection is an apologetic argument to hit people over the head with. It’s a ‘proof’ that God wins, but it’s too easy. Resurrection requires something that has died. Something good, something beautiful, something Godly, something we loved, something that should never have died. Resurrection requires the separation, the pain, the doubt, the burial. And when resurrection comes, not only will it surprise us, it will terrify us. We won’t expect it, we won’t know what to do with it. We won’t know which box it fits in, we won’t be able to explain it or even take the message to our friends. But the message will get out eventually, somehow, despite us. Yes, ‘Love Wins’, the new life of resurrection can happen in the lives of each of us, but that doesn’t mean it will be easy. If it seems easy it might not even be the same story. Today is Good Friday when as Christians we reflect on the day when Jesus was killed. At Canley Community Church, we are reflecting on this day by following the story of that day through scripture readings, images and other media. For Jews of Jesus time (and today), a day starts in the evening and ends the next evening, rather than starting in the morning as we would count it. We begin our reflection in the garden of Gethsemane, after the last supper and the first communion meal, as Jesus prays, knowing what is about to happen. We will follow through the night, into the afternoon as Jesus is crucified and buried. This is the the path set out in the ‘Scriptural Way of the Cross’, as celebrated by the previous Pope and this one, using fourteen readings to guide us through the day. Finishing in garden of burial, we await the resurrection of Jesus on Easter day, celebrating communion together in the darkness and loss of that day. Please use the images and suggestions for music and physical items in the prezi below to help you reflect on Good Friday. Download the scriptures used in the Way of the Cross.